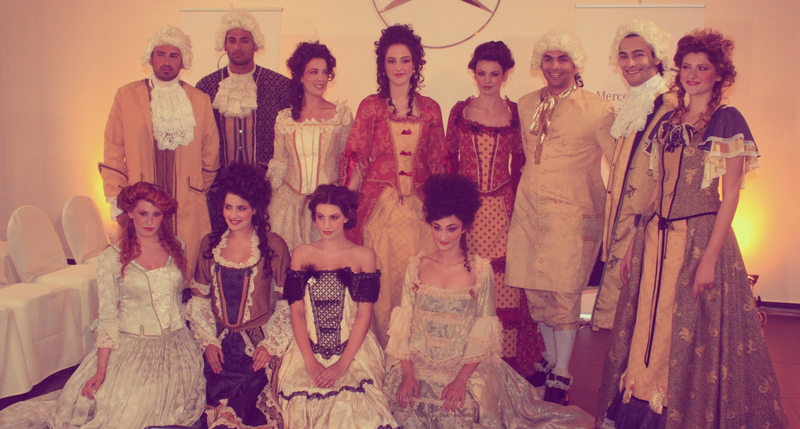 5 Days of Fashion shows with the 6th being the final night ending with The Malta Fashion Awards. Day 3 - Theatrical and Period Costumes held at the Mercedes-Benz showroom in Lija. I Must Start off by saying what a lovely set up held at the Mercedes-Benz Showroom in Lija, The candlit atmosphere with yellow lights gave off that vintage yet antique setting to the show taking us all back to the seventeenth century or as some would call it the sixteen hundreds. 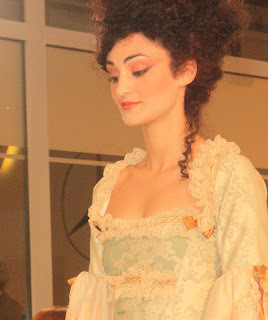 Elegance is the theme of this show, dresses supporting the farthingale underneath giving them the desired shape for the particular dress worn. Ruffles was noted in most yet nearly every garment giving that vintage yet historic look to each and every individual unique piece of clothing worn. Colour Palette for this show was based on yellows, touches of blue and red and pastel colours with a hint of black in one of the lacy garments in the beginning. Let us not forget the statement mens shoes of the night, a basic black shoe decorated with lace, a black bow finishing it off with a pearl charm pendant in the centre of the front of the shoe. The Beauty look side of this Fashion show on the other hand was an outstanding mixture of plum mixed in with hues of reds and oranges. Complexion was heavy, a good amount of foundation with a striking coral blush giving it that rosy pinched cheek look. Eyes were dark and intense with oranges and plums taken over all over the socket, finished with a light amount of mascara and a bold black winged eyeliner. To finish the look off was a bold matte lip. The overall look was from the warm toned colour wheel giving no contrast to the makeup and leaving focus on the garments not letting eyes wonder off and leaving the focus from the garments shown in the show. What do you think of today's show? Doesn't make you want to live in this era just for one night?